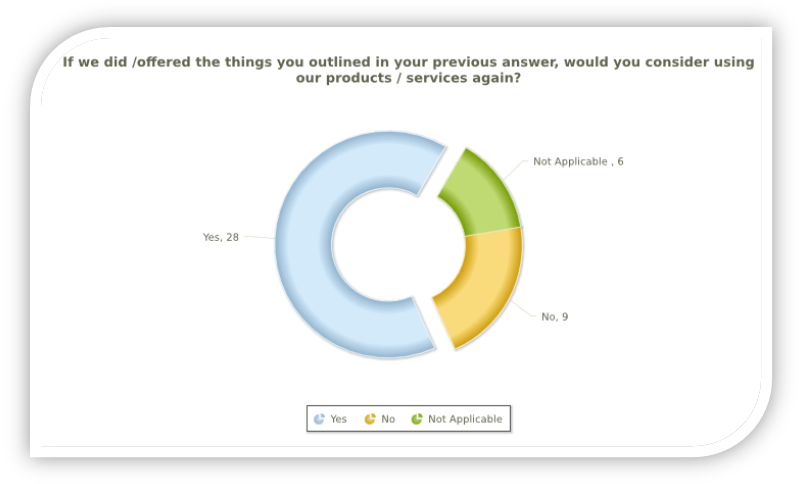 Without doubt – a Lapsed Customer Survey is the one survey you *should* be running that you’re probably not running yet. The return on investment is compelling. A 5% reduction in customer defection rate can increase profits by 25-125%, depending on the industry. (if you haven’t already – read the full article here: https://www.peoplepulse.com/resources/useful-articles/lapsed-customers). When a customer walks, its time to listen. Why have you decided to stop purchasing from us? What specifically could we have done to improve your satisfaction with us? Have you decided where you are taking your business? Who do you intend to use? If we were to address the issues you have identified above, would you consider giving us another try? … all important questions to systematically ask your departing customers. The first step in implementing a lapsed customer feedback system is to identify how best to flag when a customer has stopped buying from you, or signaled their intent to conclude the relationship. The next step is to establish a process to regularly invite lapsed customers to provide you their feedback. The sooner you ask them after you become aware of them lapsing the better. Ideally a monthly invite process at a minimum is recommended. Our expert Project Managers can provide assistance regarding the best invite approach and content to take to maximise your response rates. Ask yourself – what would be the impact to your bottom line if, by first listening then acting on feedback from your lapsed customers, you could win back just 1 in every 20 of these customers? For most businesses the ‘win back’ benefit results in many thousands of additional revenue per year. Talk to us about how we can assist you. Choose from a wide range of chart types and export them into your presentations at the click of a button. PeoplePulse allows you to quickly ascertain the likelihood of re-purchase to help you plan fact-based customer win back campaigns. 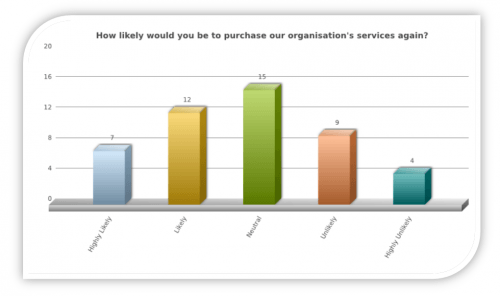 Chances are that you haven’t set up a lapsed customer survey before. Rest easy – our Project Managers have run plenty. Their role is to ensure your survey runs in an efficient and effective manner from start to finish. Easy to upload recipient e-mails to our system to trigger survey invites and reminders. Invite by email, SMS, QR code, or paper – or a combination of all. Why waste your customer’s time by asking them to complete pages of demographic data? PeoplePulse lets you pre-load that information. Your survey will be shorter, and your customers will love you for it. This combination of exceptional software and unmatched support & advice works to ensure that your lapsed customer survey is set up professionally without fuss, and that ultimately your survey delivers you the insight you need to win back lapsed customers and make better business decisions.